Day in and day out, a lot of you come by and read what we've written about. Here are the stories that you guys —and some passers-by —read the most in 2018. We've already taken a look at our own personal favorite stories, as well as our favorite video productions. For this piece however, we turn the power to you. Based on readership numbers, and counting down to the top piece, these were the most popular pieces to run on AppleInsider this year. As is often the case with new updates, Apple limits the supported models to ensure all features — or at least most features — work as they should. This often means if you have an aging Mac, you may not be able to install the latest and greatest OS. Luckily, AppleInsider walked you through the process of installing it on unsupported machines. 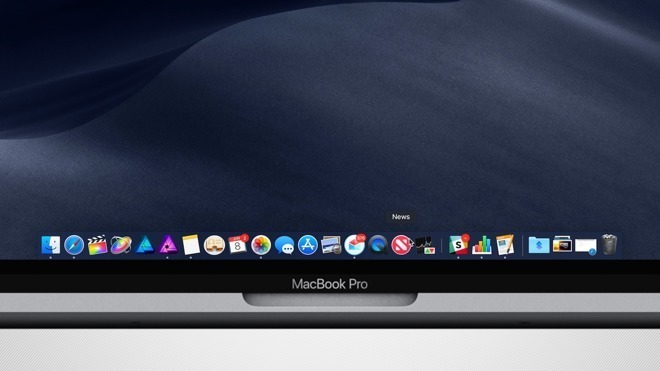 Apple has been teasing a newly redesigned Mac Pro set to debut in 2019. This pre-announcement from Apple has spurred copious speculation about what we will see. Many are throwing out ultimatums regarding upgrading if Apple doesn't choose to include a particular feature that they want. "Modularity" is a loaded word. Apple has used it a few times, and they aren't saying if this means PCI-E with everything slotted and user-replaceable, or if this means Thunderbolt 3. Until the machine is released, we won't know what Apple is gearing up for but this was a popular editorial about what the new Mac Pro will — and probably won't — be. It is the battle of the affordable iPads. We compared the new 2018 9.7-inch iPad with the 2017 iPad, and even the iPad Air 2. None are in the upper echelons of the "Pro" models, but all still worthy contenders to be your tablet of choice. Dell is one of Apple's biggest competitors in the notebook space, so with the wraps just taken off the new Dell XPS, we thought it only fit to compare it directly with Apple's comparable model. Speaking of iOS 12, it was packed with a ton of new features for iPhone as well as iPad. We spent an incredible amount of time compiling a near-exhaustive list of each and every one of them from the mundane to the entirely new experiences. It even amounted to one of our longest videos to date. If you're just interested in the iPad, check out our parred down version that focuses on the tablet exclusively. When the iPhone X launched, it got a lot of people's attention, not least of which was that thousand dollar price tag. It was essentially a first-generation device for Apple between the new authentication method and updated chassis design. It isn't shocking to see a smattering of issues crop up as millions got them in their hands. 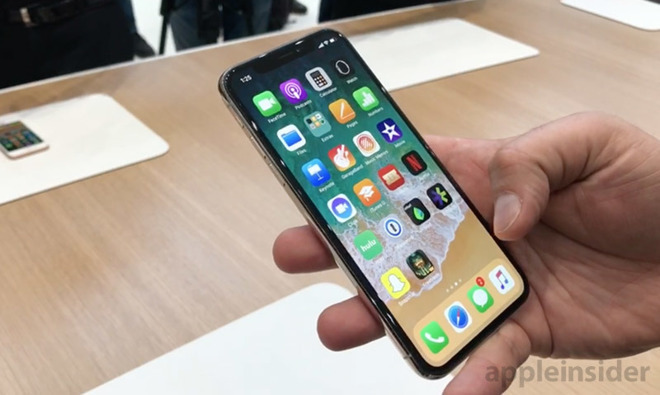 When iOS 12 debuted, it did more than just introduce new features and support the latest devices, it perfected the devices Apple already had on the market — namely the iPhone X. Face ID was faster, could rescan a face, and support two different people which alone made a huge difference in usability. 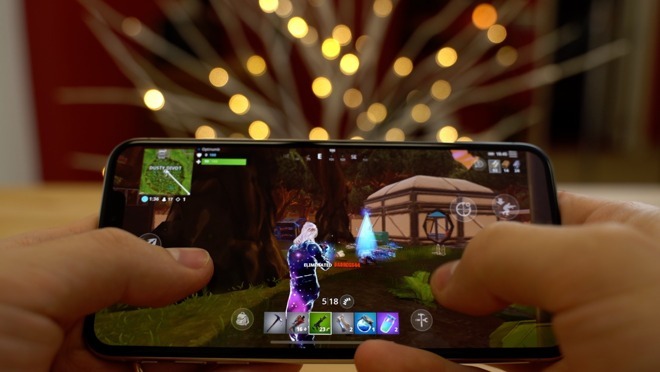 Fortnite was a huge trend throughout 2018 with crossplay action between multiple platforms — including iOS. It was huge news when Fortnite hit iOS and was available to everyone, no special beta invite required. The title took the App Store by storm with eager gamers frothing at the mouth to play on their iPhone and iPad. On the latest devices, Epic Games introduced 60FPS support for even smoother gameplay. This March, Apple dropped the new 9.7-inch iPad, targeting the education market. This budget tablet wasn't exclusive to teaching institutions, leading many to wonder what was the best bet. Should they opt for the newer 9.7-inch that was more affordable, or shell out for the slightly older iPad Pros? We took a look at the new unit versus the iPad Pro. There was a ton of speculation regarding Apple's iPhone in 2018, possibly none more so than around the names Apple would land on. 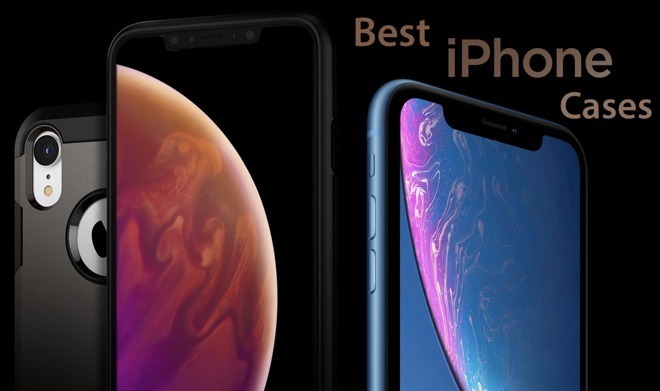 Rumors reached a fever pitch just preceding the event with carriers readying preorders, such as a Romanian carrier who posited the names as iPhone 9, iPhone XS, and iPhone XS Plus. They weren't entirely right — one out of three — but it was one of our early looks at Apple's naming convention. A new year means a new iPhone, and a new iPhone body design means new cases. With the never ending onslaught of new case offerings, it can be hard to tell what is worth the money and what isn't. And, you do like your cases. AppleInsider has gone through them and hand-picked the best cases that are available for our roundup of new XS and XS Max cases. Whether you are looking for a classy leather option, a folio-style to replace your wallet, or something entirely minimalistic, our list has options. Another popular guide dealt with moving your Photo library to an external drive — whether as a backup or simply to free up local storage. Any process that deals with something important, like years worth of memories, can be nerve wracking for anyone, which is why AppleInsider's guide is around to ease your nerves. We walk you through the entire process from backing up everything pre-move to ensuring no issues after the transition. We don't shy away from competitors handsets, which is why we pitted Samsung's flagship Galaxy Note 9 against the latest iPhone cameras to see which was better overall. In the shootout we put the cameras in a variety of situations. Portrait, HDR, macro, nature, low-light, and othe scenarios were tested out. All the photos are included in the roundup so you can decide for yourself which really is the most impressive shooter. Thunderbolt 3 is the ultimate expression of something Apple has tried for decades — one cable snaking out of a Mac, providing video, power, and data. But, as Apple shifts to the new ports in its thinnest machines, there's still a need for the legacy ports, at least for now, and we've been rounding them all up. So, it is no surprise that the interest in Thunderbolt 3 docks has continued to increase. While the piece was first published in May of 2017, we've continued to keep our recommended list up to date with four revisions in 2018 alone, as new ones have been released and as Apple has debuted newly compatible machines. Another popular feature behind using older apps was our explainer on using dual-SIM on the XS and XS Max. Thanks to the eSIM functionality of Apple's latest devices, multiple voice lines and cellular plans can be tied to a single device. Ideal for travel abroad or a second business line. Initially, no prominent U.S. carriers supported the feature, but since several have come on board. The process isn't completely intuitive, leading many to wonder the exact steps necessary to utilize the flagship feature. Instead of relying on carriers, you can also just add a plan through apps in the App Store, making the duality even more convenient. Some guides are indispensable, and outranking all others was AppleInsider's walkthrough on how to download older versions of apps from the App Store if your device can't run iOS 11. As Apple's devices have longer and longer lifespans and new app versions require the latest operating systems, it is becoming more useful to download these older copies of apps that will still run on your device. Especially if you've paid for such an app in the past, you shouldn't need to get a new device to continue to use it. If you have a device that won't run iOS 11 or 12, be sure to check out our thorough guide and not lose out.